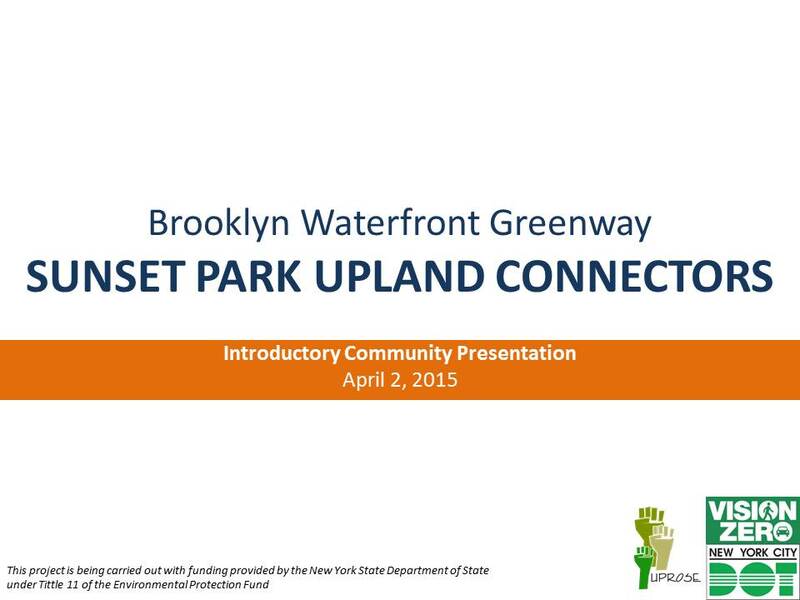 NYC DOT has partnered with UPROSE as our community engagement partner for the Uplands Connectors Project in Sunset Park. This project seeks to develop a plan with the community to establish safe and inviting pedestrian and bicycling routes connecting the upland community to waterfront destinations. We envision these upland connector routes, as a combination of pedestrian safety improvements, bike facilities, landscaping, wayfinding and street furniture that all come together to create more inviting environmentally sustainable spaces.